Born Elwe Singollo, during the First Age when the elves first awoke in Middle-earth, Elu Thingol along with chieftains, Ingwe and Finwe their first kings. And they were the first elves to travel west over the ancient seas to Valinor, the holy land were the governing Valar and Miar, dwelled. Having gone as ambassadors because the elves were initially afraid of the Valar, the kings returned back to their people revealing their good intentions for their safety. The three then led the mass migration across Middle-earth to reach the western shores, known as Beleriand, to sail to Valinor. 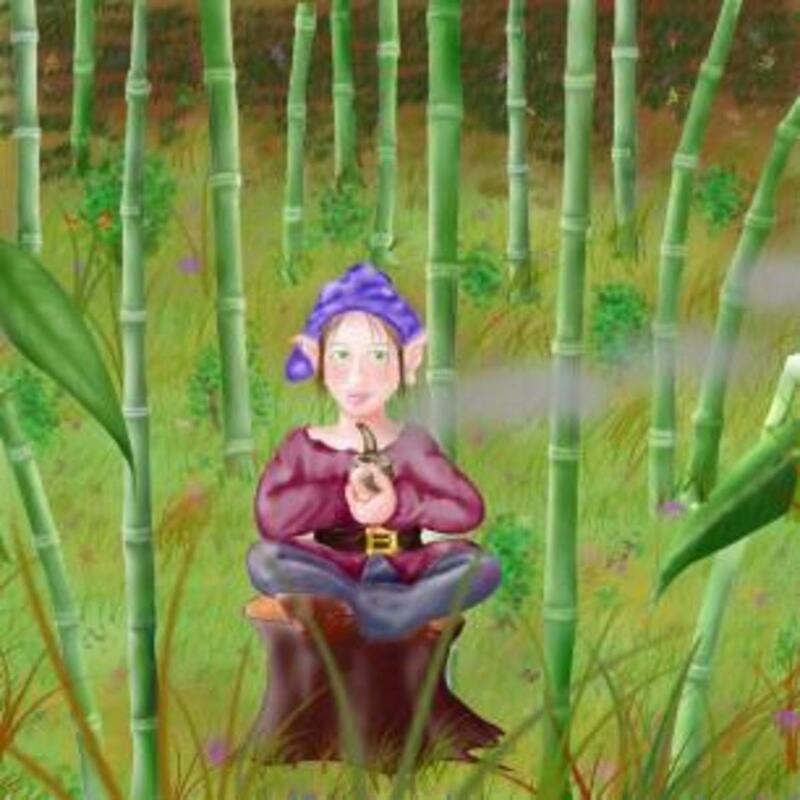 Once there, Elwe was wondering it's forest when he encountered the Miar woman named Melian. The two fell for each other at first sight and it's said that they remained in that same spot for many years. 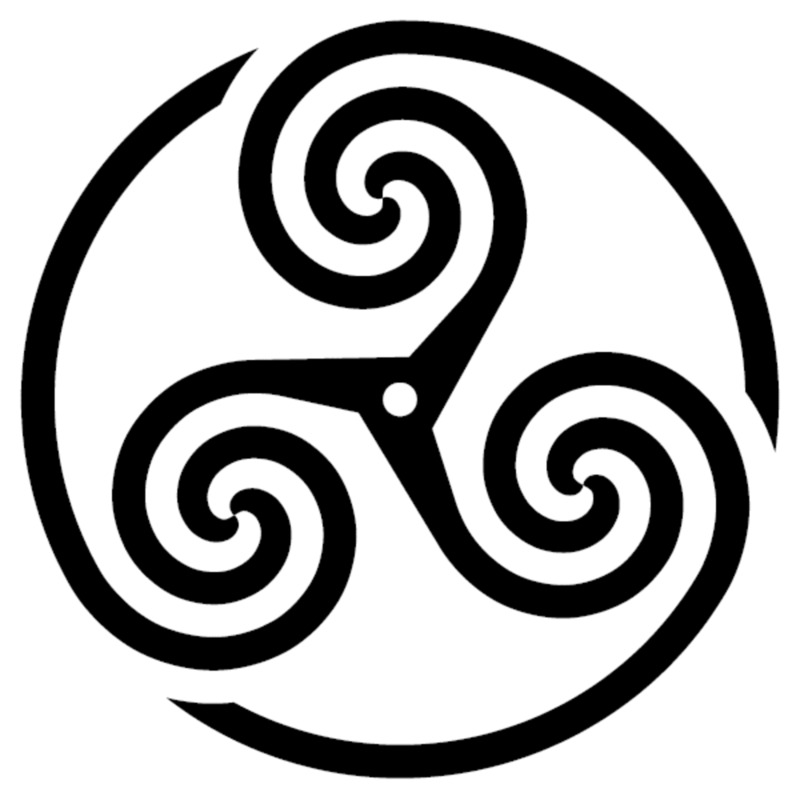 During that time, his tribe, the Teleri, thought he had become lost and under the leadership of Elwe’s brother, Olle, crossed over into Valinor, where he became the new High King of the Teleri. 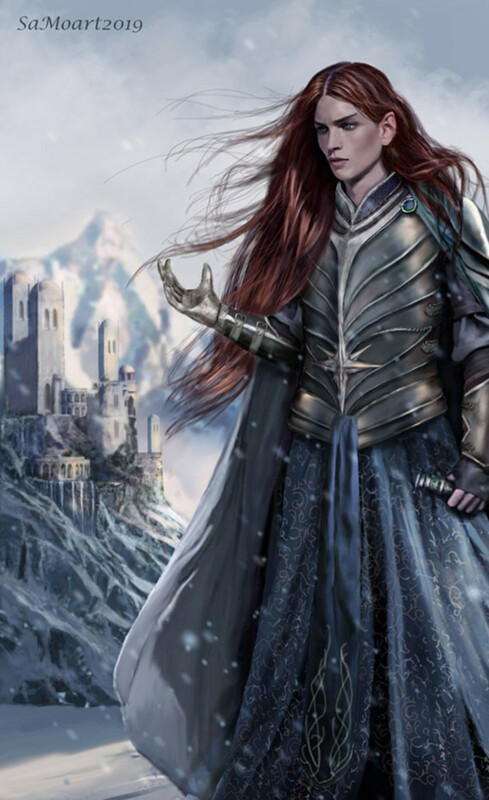 Eventually revealing themselves to the remaining Teleri, Elwe now appears as if he were one of the divine lords and was considered the only high elf among the race that remained in Middle-earth. Recognizing via foresight that he will never see Valinor or his brother again, Elwe takes comfort in Melian’s love and wisdom and deems himself content. The local elves, the Sindar, then choose them as their rulers. Through their rule, they build up the Sindar civilization to such a degree that it is said to almost rival their kin in Valinor. The Beleriand alliance support each other when evil creatures start invading and when Morgoth, the renegade Valar, returns to Middle-earth and begins the first war of Beleriand, the Dagor Nuin Giliath. During the conflict, Thingol leads the Sindar to victory against the invaders, but his allies are pushed back with severe casualties. This forces Thingol into a defensive posture and Melian uses her powers to create the Girdle of Melian: a invisible barrier that prevents all unwelcome creatures and intruders from entering Doriath. Yet this is only a stop gap and the orcs occupy much of Beleriand until the arrival of the recently-exiled Noldor from Valinor. Stronger than the local elves, the high elves nurtured in Valinor repulsed the invaders and drove them back into the north western part of Beleriand, fencing them in. Despite their salvation and meeting his relatives: Galadriel, Aegnor, Aegnor and Finrod, King Thingol is still highly suspicious of the newcomers’ true intentions. Thingol still regarded himself as a High King, equal to the current, Noldor High King Maedhros and his successors, Fingolfin and Fingon. With the exception of his Green elf allies, he still regards all of Beleriand as his realm and the Noldor seem to be ignoring that. The majority of the high elves do take a skeptical view of Thingol’s claims given that he could not even hold his own territory to begin with, but respect his boundaries. They are ‘allowed’ to live in the lands around Doriath, forming buffer zones between it and the orcs of the north. Thingol’s mistrust of the Noldor is later justified when he discovers the revelation of Alqualonde, where the Noldor killed many of his people to obtain the ships that they arrived in. Though he later pardons them, seeing that most of the tribe suffered greatly to arrive by the deadly ice of the north, he bans the speaking of their language anywhere in the land. When humans first began arriving, Thingol mistrust became even more severe. Though the Noldor were welcoming of the new race, taking them into their service as allies (which also perturbed Thingol in that he was not asked permission), the Sindar king banned them from Doriath and demanded the Noldor allies be accountable for their actions. An example of just how seriously he took humans was when he only accepted the refugee Haladin people as a eastern, border state next to Doriath, after the intervention of Finrod: despite their loss and hardships from orcs and wild creatures. Otherwise he would have let them die. During the following war of the Dagor Aglareb, Doriath offered no help to the Noldor and stuck to their decision during the Dagor Bragollach War. The latter one was of more severe consequence because of Thingol’s refusal, even in light of the deaths of his nephews, Angrod and Aegnor, and when many of the Noldor northern territories fell to Morgoth. It had appeared as if King Thingol had all but forsaken his already-shaky alliance with the Noldor. However, he had allowed elven refugees to enter Doriath, effectively beginning the transition of turning the Sindar realm into a safe haven. Dagor Bragollach however did not leave the king untouched, as a survivor of one of the fallen human kingdoms, Beren, was somehow able to break the Girdle of Melian and enter the forests. 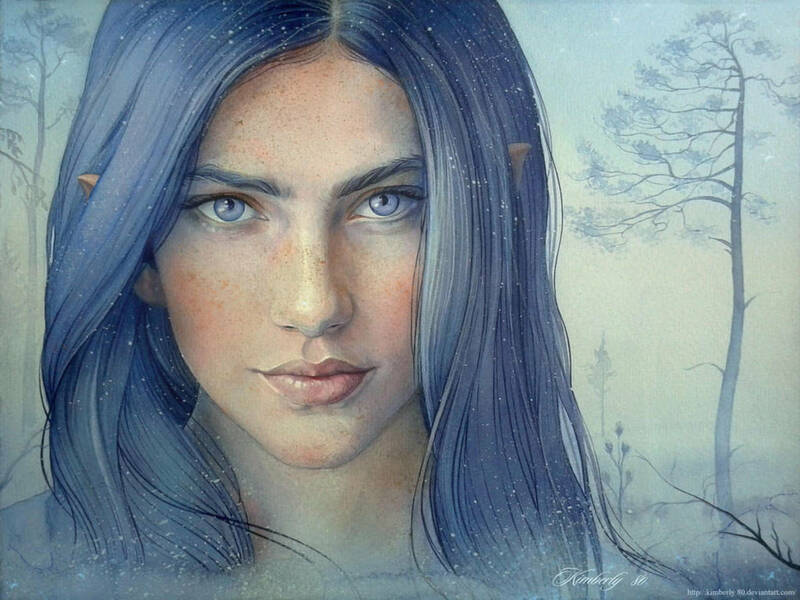 In a repeat of history, he meets Thingol and Melian’s daughter, Luthien for the first time and falls in love. They began a secret relationship which an enraged Thingol eventually discovers and is only kept from killing the human by a promise that Luthien coerces out of her father. Even then, their first meeting is hostile and tense, with the elder king berating Beren for daring to love his daughter and enter his kingdom. Beren’s equally haughty and proud response that he is not deserving of such insults nearly sends Thingol over the edge, but decides to send him on the impossible quest of retrieving a silmaril from Morgoth’s crown in the far north. His hope being that the mission would accomplish what Thingol himself had pledged not to do. When Beren agrees and leaves, Luthien soon after follows him, escaping her father’s imprisonment. Thingol’s rage turns from rage to desperation as he tries to locate where she is, nearly going to war with the southern Noldor kingdom of Nargothrond, after princes, Celegorm and Curufin send word that they have her. Eventually the pair return, with the now one-handed Beren showing he had held a silmaril and lost it during the course of the quest. Thingol’s attitude now takes a turn, no longer harboring mistrust towards humanity and allowing Beren to marry Luthien. Yet by now, Beleriand’s situation has worsened. The Noldor mustered nearly all their forces, bring in new, human allies from the east and west, and allied themselves with the powerful dwarves in one, final war to kill Morgoth and regain the remaining silmarils. They ultimately fail, resulting in the complete destruction of the high elven realms in the north and High King Fingon. Thingol, who again had sent no reinforcements, but this time for legit reasons as Feanor’s sons had threatened to come after Doriath to regain Beren’s silmaril, took in both human and elven refugees from the north. Among them was the son of war hero, Hurin, named Turin, and later his mother and sister: Morwen and Nienor. Thingol adopted him as a foster son and he served well on the borders of the Girdle, which now were under constant attack from orc probes. A misunderstanding occurs however when Turin kills an elf in self-defense and runs away. Though Thingol pardoned him and was genuinely grieved, the boy refuses to return and is never seen again in Doriath, though rumors of his further deeds were many. Later, Morwen and Nienor follow Turin’s path, also leaving Doriath and are also never seen again. Decades pass and now Hurin, released by Morgoth, comes to Doriath and insults Thingol and Melian publicly for what happened to his now-deceased family, holding the king responsible and tossing a jeweled necklace he recovered from fallen Nargothrond. Then the queen reveals the truth of what happened to Hurin's family, and the old man leaves and later commits suicide. The necklace that he took though was the greatest creation of Nargothrond, the Nauglamir, and Thingol thought to combine it with the silmaril. He commissions the dwarves for the work, who alone of the alliance that went up against Morgoth now remained. Eventually they also lust after the silmaril and when the work is done, try to take it from Thingol under false pretenses. The king loses his temper for the final time, insulting the dwarves while forgetting he is alone and is subsequently killed for the insult. "His first meeting with Beren is the best case to see how his temper works because of how far he’s pushed." Thingol’s primary attribute is his arrogance. On the one hand, he has the right to be cocky as he one of the first generation of his race born in Middle-earth, among the first of his kind to go to Valinor, one of the leaders of the great migration west, and had married a Miar. Yet later, this arrogance begins to become a problem after the Noldor arrive after Dagor Nuin Giliath. Though there were three other kings in Beleriand, he is regarded as the High King. The Noldor however do not seem to agree with that, or at least do not pay him the respect Thingol believes is due to him. His arrogance also is a lens through which he sees his relationship to other races. While he does care for the Sindar and other local tribes, his high born status gives him a condescending view of the dwarves and humans. He holds a similar view of the Noldor, but that is harder to maintain since they are also high elves and raised in Valinor, and have the stronger army. In his eyes, everyone owes him something because of his status and reputation. And that plays into his temper and his prejudice. Though this cools in his final decades, Thingol never fully lets it go, so that when the Dwarves try to rob him of the Nauglamir, it resurfaces and leaves him dead. The lens of his arrogance directly feeds Thingol’s other characteristics, in this case his hot temper. In most cases, this is ignited when he feels he’s been disrespected or when someone close to him is in danger. Given that the Noldor are often the ones seen as the rash, violent elves, it's important to note that Thingol was ready to kill other elves too when he thought his daughter was held hostage: despite his own anger at the Noldors' kinslaying at Alqualonde. His first meeting with Beren is the best case to see how his temper works because of how far he’s pushed. Here he encounters a creature he finds to be inferior in all ways to himself and especially his beloved daughter, Luthien: a hybrid of the divine and immortal races. He already doesn’t like humans or trust them, and yet one was able to bypass all his defenses. And when he ‘rightfully’ puts the intruder in his place, the inferior creature barks back at him as if they were equals! It maybe possible that Beren’s retort of not deserving the king's racial and status taunts because of his war service during the Dagor Bragollach, may have also been a subtle dig at Thingol’s lack of contribution to the war effort. It would certainly explain why Thingol immediately wanted to kill him so badly right afterwards, despite his promise to Luthien. Beren pushes every button in Thingol, getting so bad that he goes from bad-tempered to vindictive. Thingol knew that no one had been able to get a silmaril since Morgoth’s return and that it was suicide to try. So to knowingly send Beren to his death was an act of malice worthy’ of the sons of Feanor. The worst part about Thingol’s temper isn’t how far it can get out of control, but how it often overshadows the king’s more positive attributes. 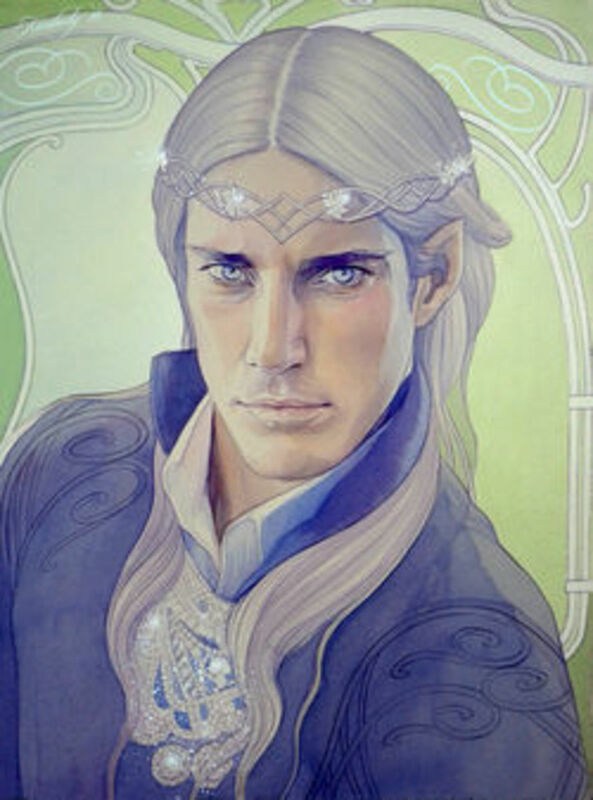 Thingol cared greatly for the elves under his rule and was known to be incredibly perceptive of people when in a calm state of mind and apparently impossible to outright deceive . Despite caring about his legacy, the High King wasn’t out to aggressively rule others either, allowing other communities to maintain their own rulers after they elected him High King. Yet he becomes red-sighted when he flies off the handle, losing all situational awareness. This aspect, more than his prejudice, is what really kills him. The only person Thingol tolerated disrespect from was Hurin, and that may have been because they both shared the loss of family: something he understood very well. Ultimately, you disrespect the king and his rep, and you get the king’s wrath with both barrels. While Thingol may have regarded other elves as equals, he did not share that same charity for dwarves and humans. Despite their ugliness of appearance and speech, dwarves were tolerated because they were clearly civilized: even more advanced than the elves in several fields. It was only because of their technology that the Sindar were able to be victorious during the first half of the Dagor Nuin Giliath. And yet despite this, Thingol still regarded himself as above them in everything else but technology. Humans he had even less regard for. They weren’t even civilized enough to be regarded as equal in anything at all. What really rubbed the king the wrong way was that his Noldor allies were so open to taking in these strangers. 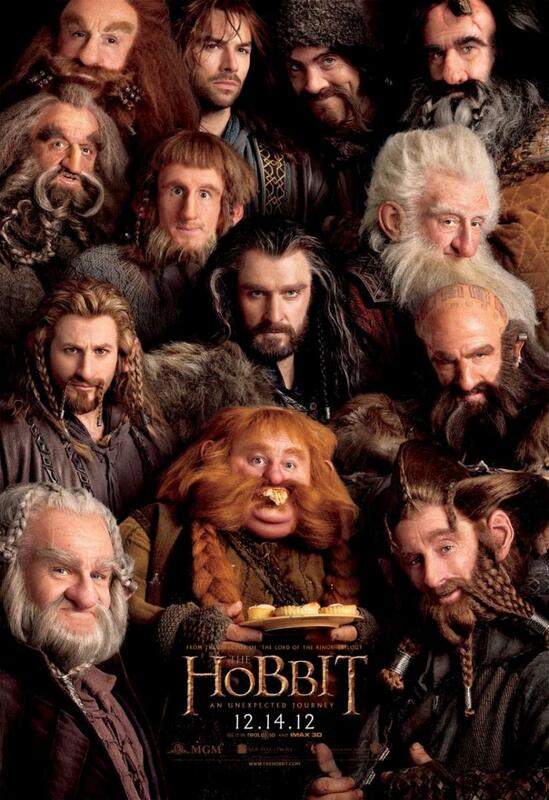 Their lifespans were even less than those of the dwarves and they seemed completely ignorant of their surroundings. That the Noldor took them in so readily gave Thingol great mistrust. So he had nothing to do with them unless his kin intervened on their behalf, or the the situation was forced on him. But Thingol eventually got over his contempt for humans which is a major accomplishment and shouldn’t be understated. At the same time, he still held private contempt for dwarves. Yet this only became an issue at the end during the making of the Nauglamir. To be fair, this is one of the few cases where Thingol is justified in his rage because the dwarves are reneging on him. But he loses control of himself, allowing his long, buried feelings to surface. As much as Thingol doesn’t tolerate disrespect, the dwarves, no matter how greedy they can be, are even more so. In the end though, Thingol was simply a product of the environment he was in. Outside of the Noldor, many of the elves didn’t like or trust humans as well. The Green elves even attacked them on several occasions before recognizing they could not overpower them. Though it was a personal flaw, Thingol’s bias was an embodiment of a shared, common sentiment across Beleriand. As a leader, Thingol has a mixed record. Starting out with the positive aspects, he has earned his reputation that the other Beleriand elves know him for. Even the skeptical Noldor respect this...mostly. He has been a leader from literally the beginning and Melian’s power and influence only accentuated this. He was wise enough to listen to her council to ally with the dwarves for the future conflicts to come, and on his own, decide to ally with the Falathrim and Green elves. For the most part of the First Age, he even held a tentative alliance with the Noldor and held the borders of Doriath, allowing it to become a safe haven for people fleeing the wars. Yet at the same time, though I know he’s considered a great king, he wasn’t as great as he could have been. After the first war, Thingol and most of the local elven powers recede from the conflict with Morgoth: the exception being the Falathrim. They had all endured heavy losses. Thingol continues a defensive posture after the orc occupation is repelled and while the Noldor shoulder the burden of the wars. He becomes obsessed with keeping Doriath safe from the outside and barely sends any reinforcements, even when his own family was dying. Yet despite his ethnocentrism, Thingol still believed himself to be on par with the stronger Noldor. More likely, Thingol’s influence came from his wife’s power and wisdom. The threat of Noldor invasion had they had been successful after the Nirnaeth Arnodiad War was never really a problem since the only possibly enemy capable of breaking the Girdle by force was Morgoth. Thingol definitely had a very, strong base to operate from, but he had no real, offensive power or influence beyond Doriath. He did not have the manpower or the resources to wage a one-elf war on the Valar. If anything, he seemed to develop an inferiority complex after the Noldor’s arrival, since he was all about reminding them why they were still in Beleriand in the first place. Even if they were more powerful and from Valinor, Thingol would always be the first: whose equal would only be found in Finwe and Ingwe, whom he made the journey with so long ago. It was Thingol’s world and the Noldor were just playing in it. The legacy of Ellu Thingol is one of starting off great and then plateauing. Ironically in many ways, his path parallels that of Feanor’s. Concern for his rule, intense and passionate, bad-tempered when disrespected, a wife who tries to balance him out, and then finally dying because of an obsession with a jewel. Though he does become the ancestor of the kings and queens of Numenor and half-elven race that continues into the Third Age, these facts were all by accident rather than intent. In fact, there are several times where he almost derails his legacy. Despite his later character improvements, Thingol’s introversion, arrogance, and focusing on the past, limit his forward impact to Middle-earth. 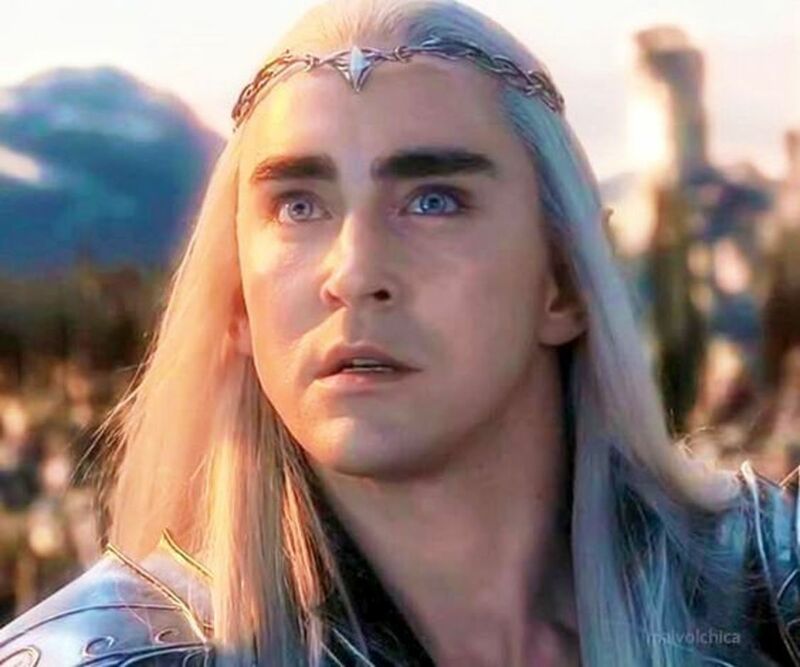 If you were to look to a modern reference point, then I would point out King Thranduil’s portrayal in The Hobbit trilogy: an king traumatized by the past, focused only on his own survival, with little to no regard for the other races. I think Thingol could have truly been one of the great kings of Middle-earth, but was too short-sighted to see past what was in front of him. Good read, thank you. Thingol is my favorite character .